Mathew is one of the top motel and restaurant specialists in the State of Utah. He has extensive experience in all aspects of real estate from asset management & development to Tenant and Landlord representation. As a Utah Securities Agent, Mathew has the ability and capability to analyze a client’s investment needs in the context of current market conditions and implement solutions that will meet a 1031 TIC client’s investment objectives and optimize their real estate portfolio through personalized strategic asset management. 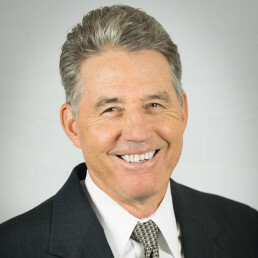 Mathew’s former clients say that he dogs a deal, has warm, easy & friendly personality and that his integrity is well known throughout the Intermountain West. Mat Chappell has become a trusted real estate investment sales advisor providing both individual and large corporate clients with a personal and professional excellence in real estate investment and acquisitions. Mat understands both the local, state, and national changing investment real estate arena. As a Utah Licensed Securities Agent and Investment Specialist, Mat retains and represents an exclusive data base on national and local 1031 Tenant In Common properties as well as available investment properties over $1,000,000. As a long term business owner, Mat also specializes large business acquisitions and is famous for his ability to negotiate a tough deal. PRESIDENT/CEO-/SALES- 25 YRS.-Chappell Cheese Company, Loa, UT.